Ultra4 Racing welcomes Spidertrax Off-Road as the Official Axle of Ultra4 Racing. 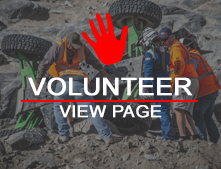 For over a decade, Spidertrax has been designing innovative products for the off-road community. 1/16/2011: We’re one day away from finishing up the 1st stage of Rock Bug 2.0. Today we focused on wrapping up the LS throttle cable mount & new dual battery tray. We’re running dual batteries this time around for added “starting” security. With the flick of a switch, we’ll be able to run either battery of choice or both together in parallel. Tomorrow, which marks the last day The Rock Bug will be in our shop before KOH, we’ll fabricate the engine skid plate and finish up with the remainder of general assembly.